Those are the things of Fall in New England and Ambler Farm in Wilton is having of celebration of all things Fall on Sunday, Sept. 28 from 12noon to 4pm (rain or shine). 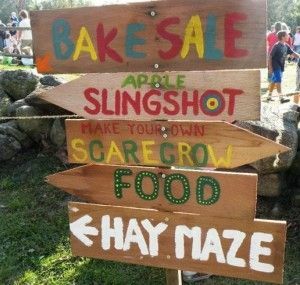 The 14th annual Ambler Farm Day is going to be chock full of family fun with a trebuchet (yes, you get to fling stuff), hayrides, farm animals, pumpkin patch, apple slingshot (more fun launching stuff into the air), scarecrow-making, hay maze, garden market, pie stand, bake sale and live music. Phew, that's a jam packed day. Not to mention that of course there will be great food and drinks to fuel you through all the activities. The cost is $20 per family, $10 for senior citizens. All proceeds from the event benefit Ambler Farm. Ambler Farm is set on 22 acres at 257 Hurlbutt Street in Wilton. Parking is limited, but there will be a free shuttle from Cannondale Train Station. This event is sponsored by Bankwell, Durants Party Rentals, GOOD Morning Wilton and Moments by Andrea Photography.